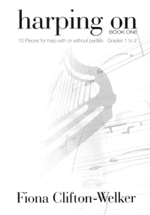 The accompaniments in this book are suitable for either piano or Irish harp but they were specifically written or adapted for the latter. 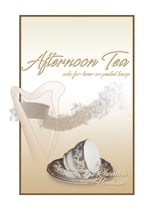 Since making my first singing radio broadcast in Ire land at the age of sixteen, I accompanied myself on the Irish harp. 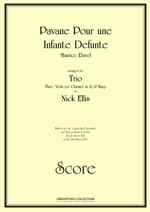 Over the years my repertoire expanded to include songs from other parts of the world. 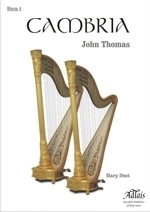 This volume, Travels With My Harp offers a sprinkling of my favourite songs - songs I have performed many times in concert, on radio and on television, recorded on LP and CD. 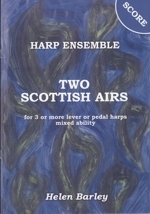 As in Volume 1 of Travels With My Harp (Afghanpress, 2006), the accompaniments in this Volume 2 are suitable for piano and for pedal or lever harp but they were specifically written or adapted for the latter. 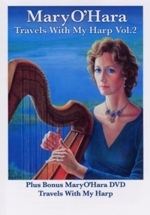 Since making my first singing radio broadcast in Ireland at the age of sixteen, I accompanied myself on the Irish harp. 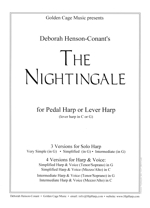 Over the years my repertoire expanded to include songs from other parts of the world. 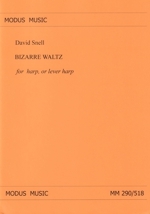 This volume, Travels With My Harp Vol. 2 offers another spriniding of my favourite songs - songs I have performed many times in concert, on radio and on television, recorded on LP and CD. 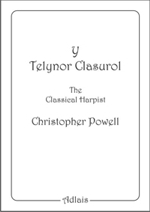 As in the other volumes, the accompaniments in this third volume of Travels With My Harp are suitable for piano and for pedal or lever harp but they were specifically written or adapted for the latter. 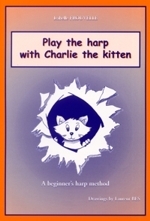 Since making my first singing radio broadcast in Ireland at the age of sixteen, I accompanied myself on the Irish harp. 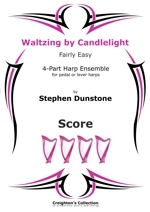 Over the years my repertoire expanded to include songs from other parts of the world. This volume offers a sprinkling of my favourite songs - songs I have performed many times in concert, on radio and on television, recorded on LP, CD and DVD-video. 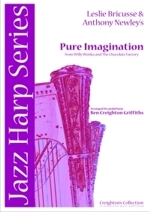 As in the other five volumes, the accompaniments in this fourth volume of Travels With My Harp are suitable for piano and for pedal or lever harp but they were specifically written or adapted for the latter. 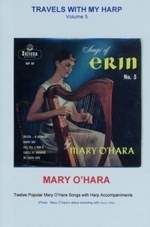 Since making my first singing radio broadcast in Ireland at the age of sixteen, I accompanied myself on the Irish harp. 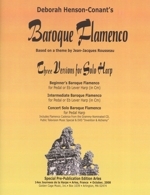 Over the years my repertoire expanded to include songs from other parts of the world. 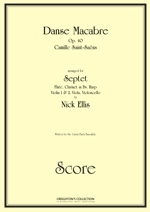 This volume offers a spriniding of my favourite songs - songs I have perfonned many times in concert, on radio and on television, recorded on LP, CD and DVD. 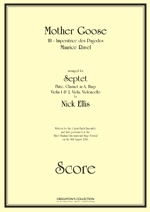 Please note we do not have the accompanying CD for this volume. 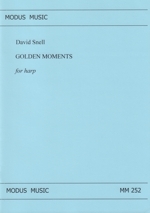 As in the other five volumes, the accompaniments in this fourth volume of Travels With My Harp are suitable for piano and for pedal or lever harp but they were specifically written or adapted for the latter. 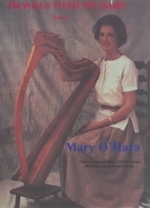 Since making my This songbook is the last of five volumes of harp accompaniments entitled Travels With My Harp that emerged as a result of a presentation Mary was invited to give at the World Harp Congress held at University College Dublin in the summer of 2005. 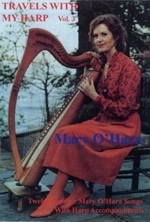 In 1994 Mary OHara retired from performing and took off for Africa. She had done the same almost three decades earlier after the death of her young poet husband, Richard Selig. At that time, however, she joined a contemplative order of nuns, emerging 12½ years later to take up her interrupted singing career, recording thirteen more LPs, having her own TV series on the BBC and on ITV in the UK and writing three best-selling books, one of them her autobiography, The Scent of the Roses, a title taken from "Farewell But Whenever...", one of her favourite songs by poet Thomas Moore. 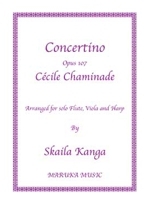 She then went on to perform in the major concert halls of the English-speaking world - New York's Carnegie Hall, Londons Royal Albert Hall, the Sydney Opera House, to name but a few!